John is a strong advocate promoting mens health and teaches both undergraduate medical students and registrars on the RNZCGP training program. He has chaired both the Government Taskforce on prostate cancer and the Ministry of Health prostate cancer awareness and quality improvement program. 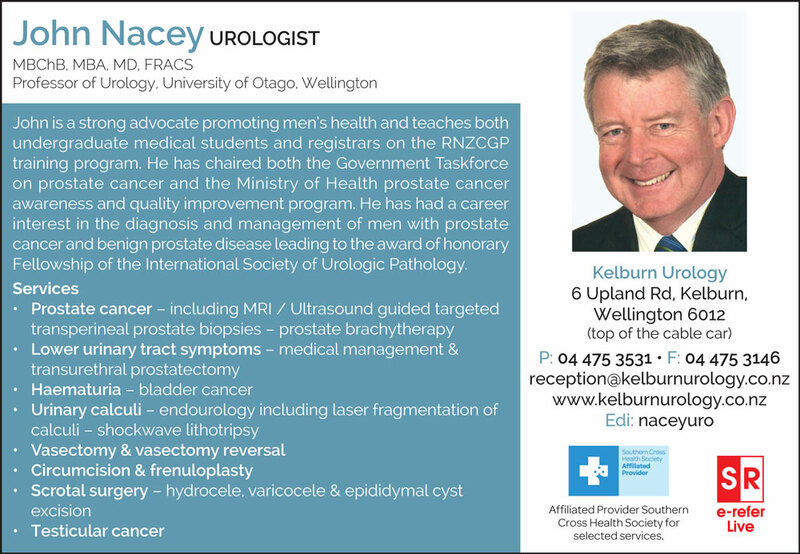 He has had a career interest in the diagnosis and management of men with prostate cancer and benign prostate disease leading to the award of honorary Fellowship of the International Society of Urologic Pathology.